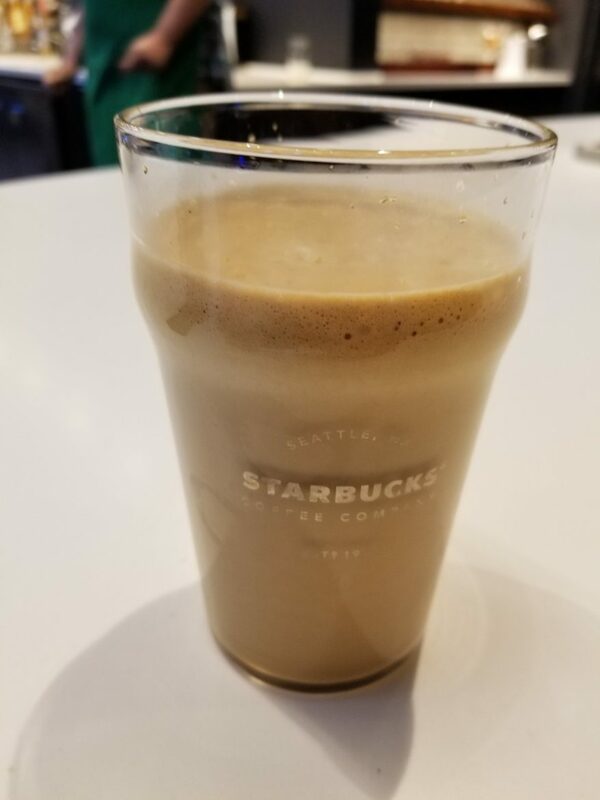 Starbucks has a small test of something ingenuous: Whole milk on the Starbucks Nitro tap. This sounds weird but it’s not. 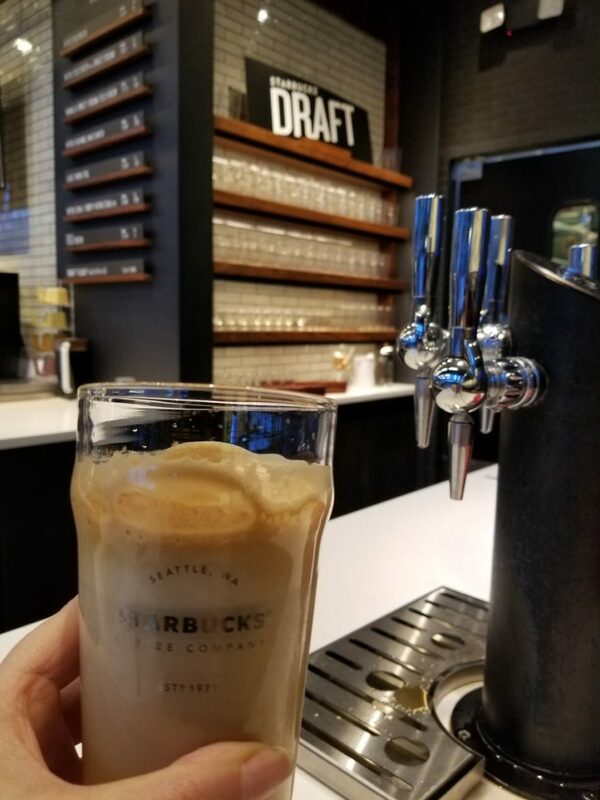 About four select Starbucks stores have a few wonderful things on their special Nitro taps: Starbucks Nariño 70 Cold brew, Nitro Nariño 70 Cold Brew, Nitro Peach Tea, and Nitro Milk for the Nitro Flat White and Nitro Pumpkin Spice Latte. 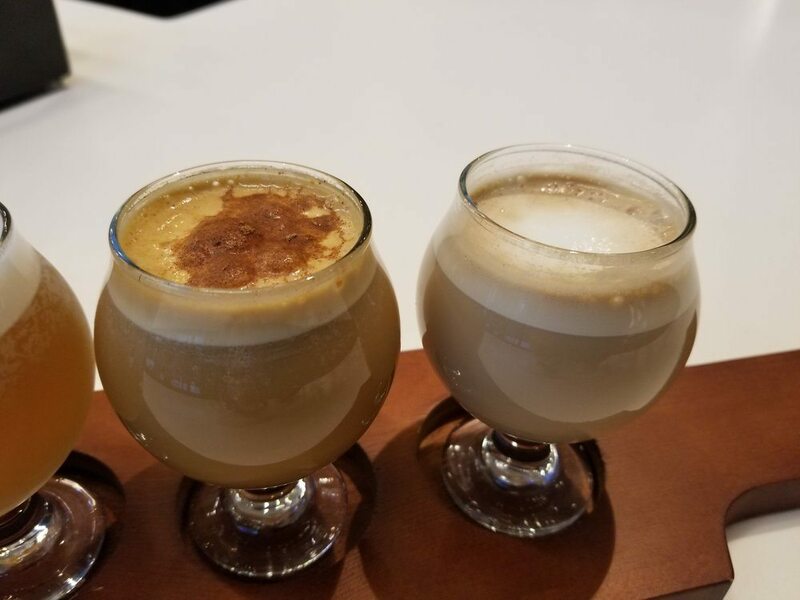 Let’s look at that reinvented PSL: It’s just 4 ingredients: Whole milk, espresso shots, pumpkin spice sauce, and some pumpkin spice topping to finish. Everything about this PSL is a reinvention: Keep in mind, it seems to be fit somewhere between a hot and cold beverage! That might annoy some people but I loved it. The milk is cold and the shots of espresso are hot. The milk tastes rich and smooth, which must be the effect of the added nitro. 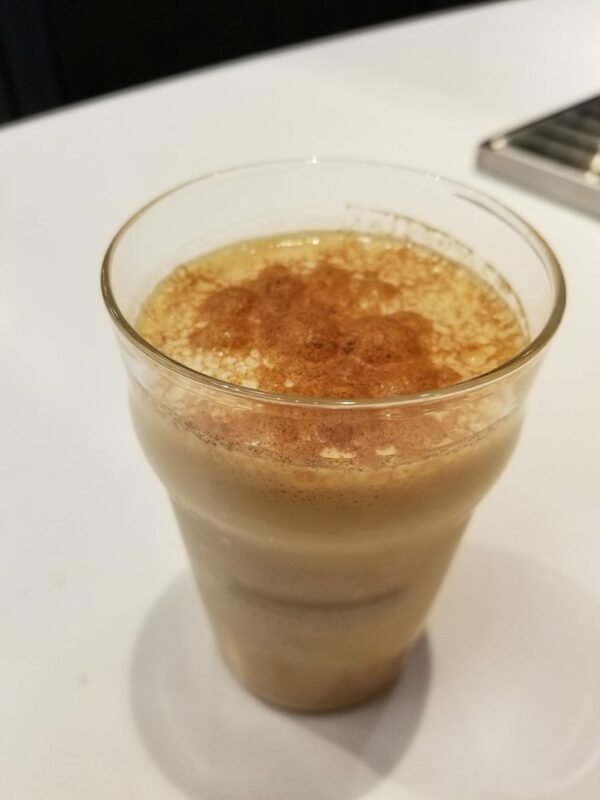 Unlike an iced latte packed with a cup full of ice, here it feels like you get a really substantial drink that won’t be gone in two sips. It’s like the drink version of a pumpkin cookie. Notice that whipped cream is not standard on this drink. You don’t need it. Yes, this is the same pumpkin spice sauce that is sold everywhere at Starbucks but it is the milk that gives it all new taste. For even more simplicity, there’s the Nitro Flat White: Nitro whole milk and espresso meet together. 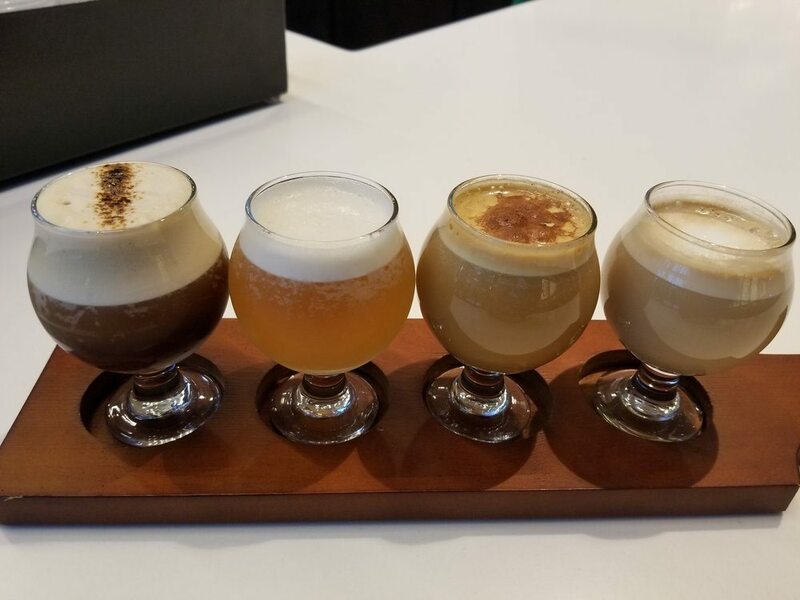 I also ordered a flight of beverages, so from left to right you have the Nitro Freddo, Nitro Teavana Peach Tea, Nitro Pumpkin Spice Latte, and the Nitro Flat White. 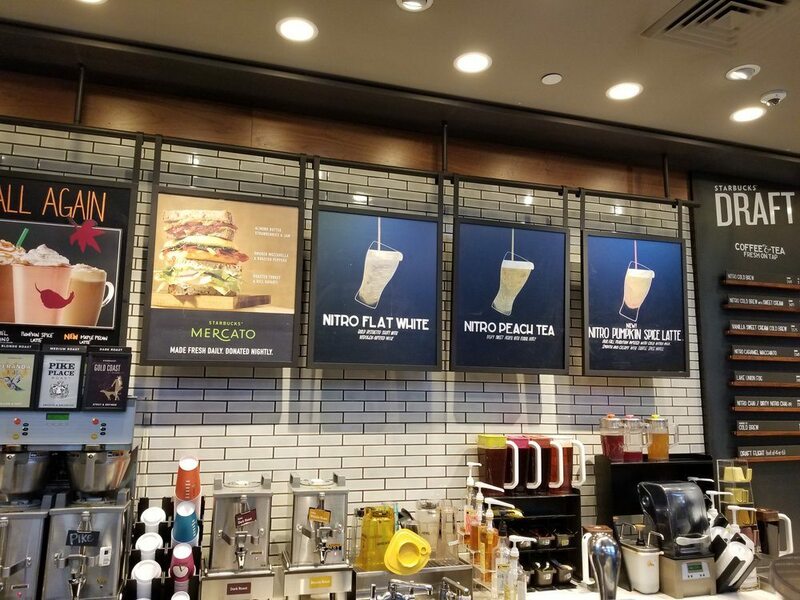 If you find a store that offers the Nitro Flat White, your only option is whole milk and you can’t order this beverage with milk substitutions like soy milk or non-fat milk. 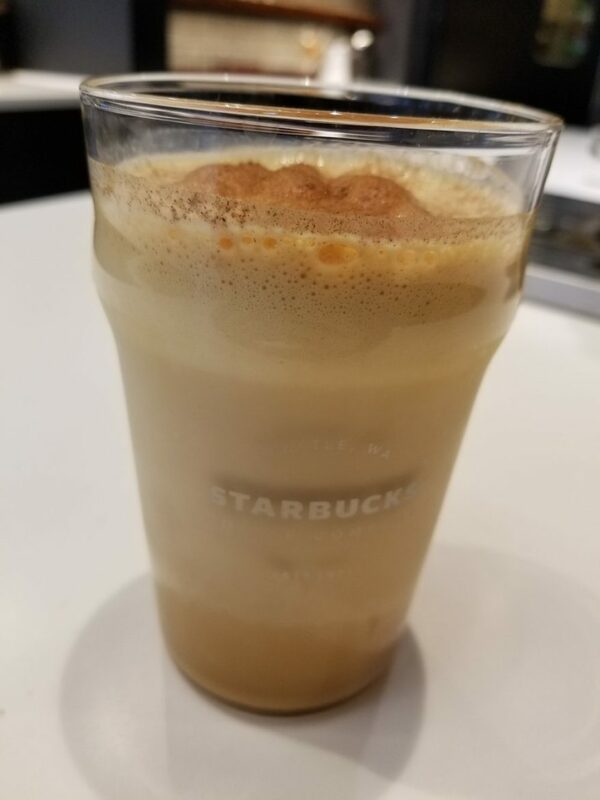 Nitro Milk is a one dollar added fee to your drink so a tall Nitro Pumpkin Spice Latte ends up being $5.78. As far as I know, the four stores that offer this include a store in University Place, Washington (Tacoma), one store in Maple Valley, Washington, one store in Los Angeles, and the downtown Seattle store at 7th and Westlake. I’m crossing my fingers for this innovation to expand. Teavana Unsweetened Black Tea - Bottled and ready-to-drink! I love your site. 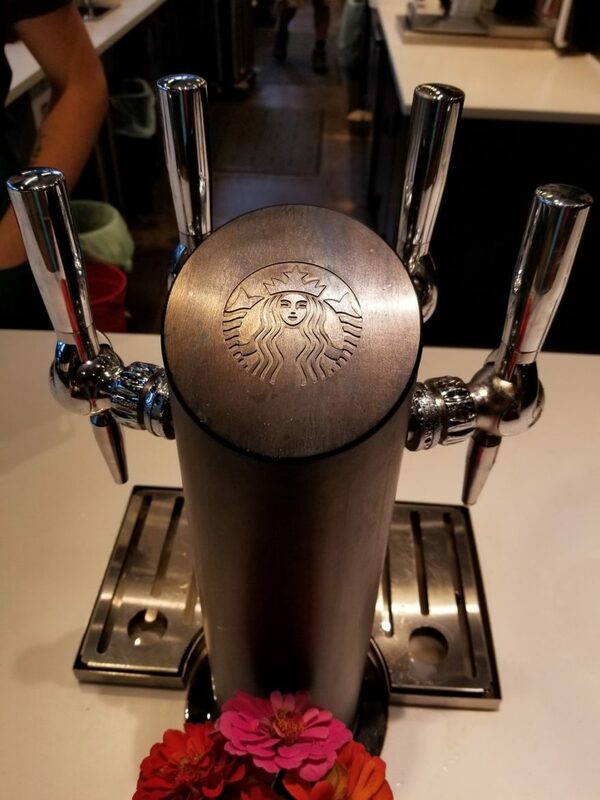 Even though I work at Starbucks I learn a lot from checking your news. You do all the work for me. Just to let you know we have this set up here in the San Fernando Valley. I work at the Porter Ranch store and we have it. There is a large drive thru by me in Granada Hills and they got it installed same time as our store. It’s only been in a few weeks. The Valley is in Los Angeles county. To be honest I haven’t checked around to see where more were set up. Keep up the good work. I really appreciate everything you do to make you website so interesting. 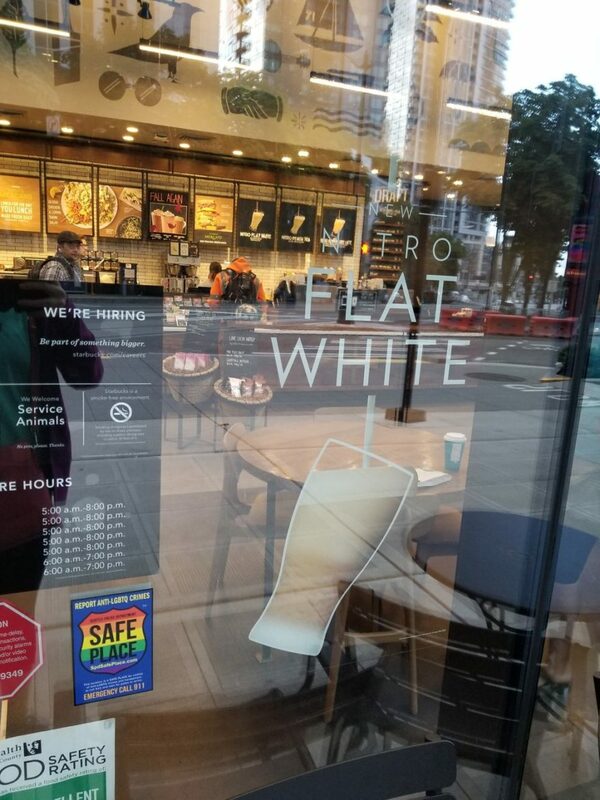 I loved the pics you posted about the Starbucks down south that I never get to visit. Jennifer.. I love your store! I met my husband there 15 years ago. 🙂 We now have the Nitro at the Burbank Empire store as well. Stuff is addicting and I drink it as often as possible!!! Yum! Which store in Los Angeles is it? I want to try them!